Is Sandra Bullock’s Cover of InStyle Boring or Beautiful? "Some of the best shots of Sandra I think I've ever seen!" Naomie Harris, Léa Seydoux and Sandra Bullock were just a few who earned spots on this week's Top 10 list. Glamour was on a complete roll until this horrific November cover featuring an overly Photoshopped Sandra Bullock. Sandra Bullock, Amber Heard and Lupita Nyong'o were just a few who earned spots on this week's Top 10 list. 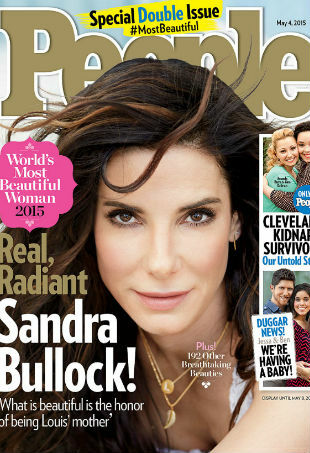 Sandra Bullock covers People's Most Beautiful issue. Extensive embellishments, bright colors and animal-inspired patterns rule this week’s style showdown.